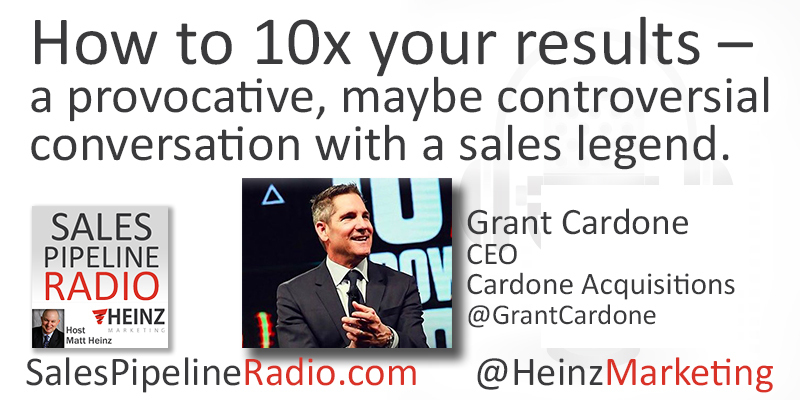 If you don't know him yet, it's time to know Grant Cardone. 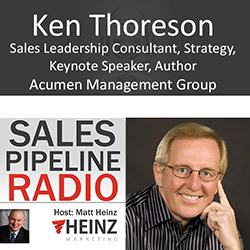 Join us for the provocative, maybe controversial conversation with a sales legend. While you are waiting for the show, don't miss his core package of MP3 books for your commute or flights. His success is legendary, his energy infectious. You do not want to miss this. Why companies are failing to hit their sales numbers. It starts with the sales managers, and it then goes to the training, coaching and support THOSE managers receive. How can they pass it down unless they know it as they breathe? Steven Rosen has over 15 years of executive experience. 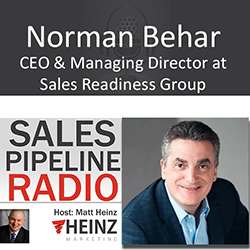 His fresh approach to corporate leadership, strategy development, execution and team-building in the pharmaceutical and packaged goods sectors defined his success. 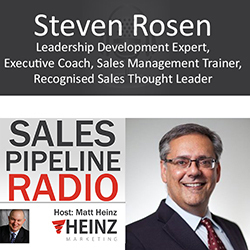 His expertise in aligning sales and marketing initiatives to achieve key business results and exceed customer expectations has continually exceeded sales objectives from his days as a sales rep to his achievements as a VP of sales for Alcon and Biovail. The answer to sales related problems can be an app, a program, a widget - but it may not solve the problem of RESULTS. Sales Management coaching drives more sales. Managers ranked the lowest on coaching. 53% of companies are providing some sort of coaching, training and development. Only 44% of companies had a well-defined, well-understood coaching program.